I have been practicing and developing the art of bumping for the last 20 years or so. Some of you may have come across me in the last 10 years at the various locksmith trade shows up and down the country where I run a 2-3 hour lock bumping course. 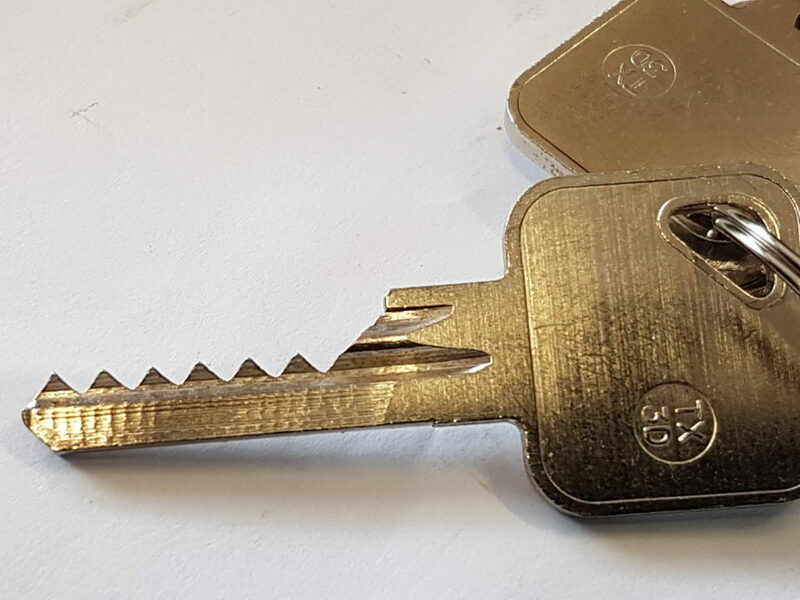 Many of the locksmiths who attend this course go out afterwards amazed at seeing how easy it is and what is now possible with the use of a simple bump key. I am not trying to turn everyone into bumping freaks but it is just an additional skill required to open certain locks we all tend to struggle with. Using or mastering this skill will add an extra string to your bow giving you more of a chance of a Non Destructive Entry. (N.D.E.) Any locksmith or handyman can defeat a cylinder by continually drilling at it but picking or bumping a lock looks so much more professional and gives that locksmith a bit more pride in their skills and workmanship. You should even have no problem upselling a simple euro lock to a more secure one when the customer has just seen you open their lock with so little noise and effort. 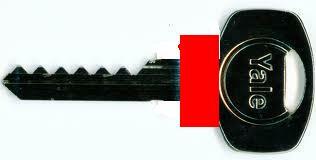 Lock bumping is basically the art of opening a cylinder type lock with the use of a modified key. It is not quite as simple as just inserting a key and thumping it. It is a mastered technique of utilising both the correct tension and strike. With a little practice and once mastered many of the cylinders you encounter can be opened non-destructively using this technique. Bumping locks is nothing new and has been around since the beginning of the 1900’s but was then used more as a method of stripping down cylinders for re-pinning when no keys were available rather than a form of NDE. Since the early 2000’s it has had a lot more publicity and has now become public knowledge that so many locks today are vulnerable to this form of attack. A non-skilled person or even a child can learn how to open locks by this method in no time at all. The internet has also made this such a global problem and if you was to search “Lock Bumping” on a popular free video sharing website you would easily have a choice of over 47,200 videos on that site alone to browse. Bump keys are also not classed as restricted items and you will find numerous sites selling them on the internet to anybody and everybody. Over 90% of the locks in the UK can still be opened via the bumping method and a properly skilled lock bumper could easily open a locked door in under 10 seconds. 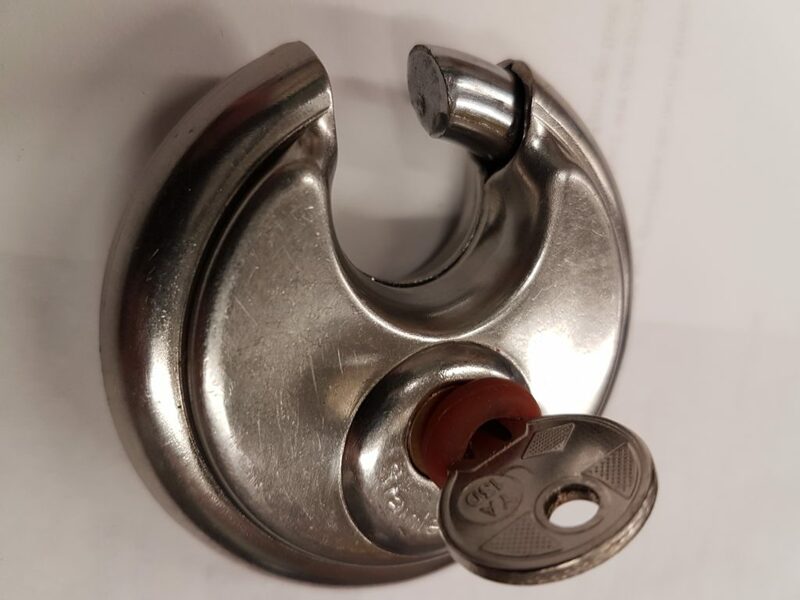 They will work on numerous types of both cylinder and dimple locks with ease whether it is a Euro, Oval, Rim, or Padlock and it is now even possible to open tubular locks found on many of the cheaper home safes. The first thing I generally hear from any locksmith who has never opened a lock or seen a lock opened by this bumping method is that it doesn’t work or is very hit & miss. There are also some locksmiths who believe bumping is an unprofessional method and should not be used but I have to disagree. 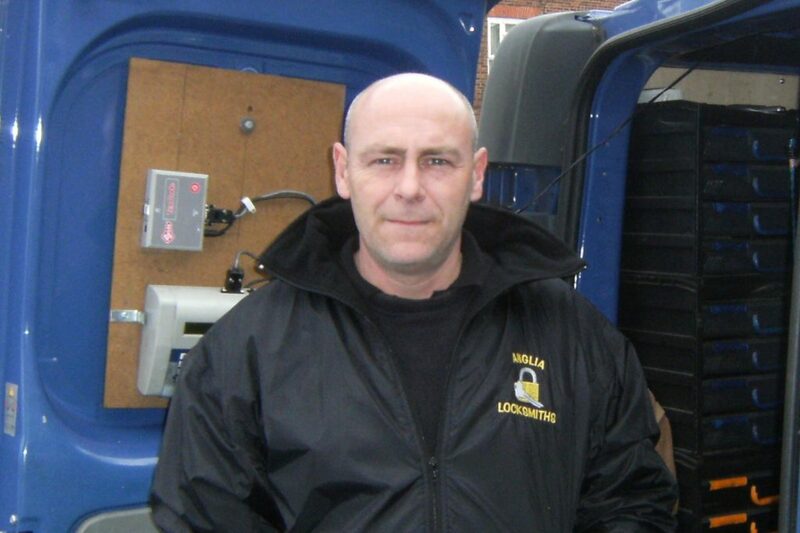 As a warrant locksmith you need to get into the property as quickly and easily as possible. I use this method on a daily basis and it is always my first method of choice on the locks that I know can be bumped open and with near on a 100% success rate most of those will be open in less than 1 minute. 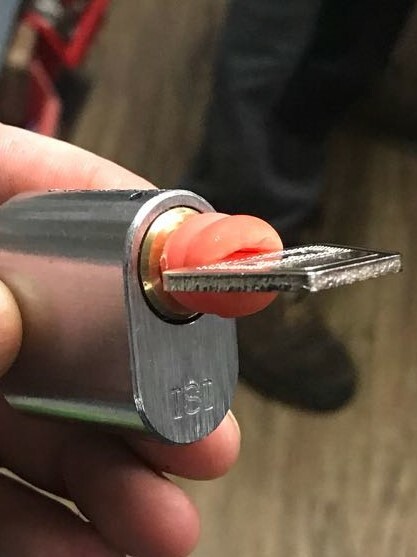 So many of the warrant officers I work with wonder why other locksmiths don’t use this method as it is looks so quick and easy. 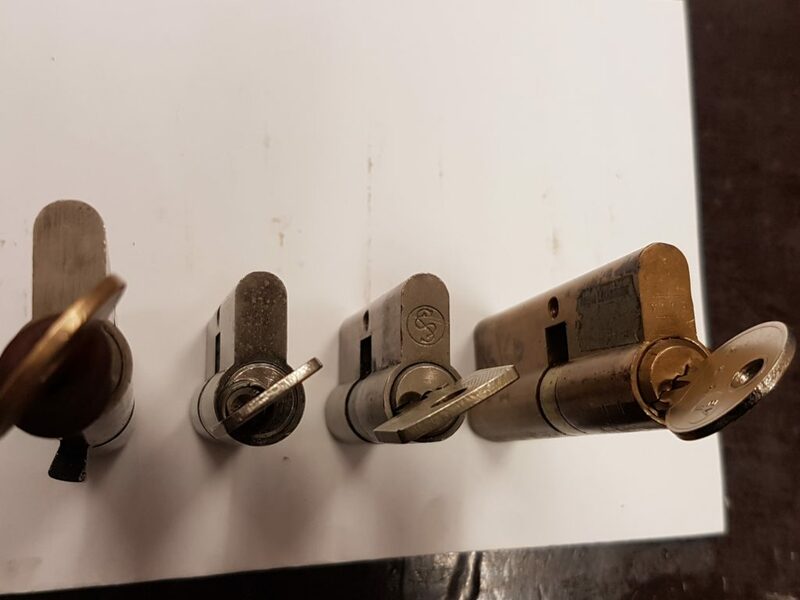 As with any other locksmith tool, spending a little time and practice at home you will find that you will be reaping the benefits and seeing higher end cylinders opening with ease which you have probably struggled with in the past. Why would you bump open a lock rather than pick, drill or snap it? 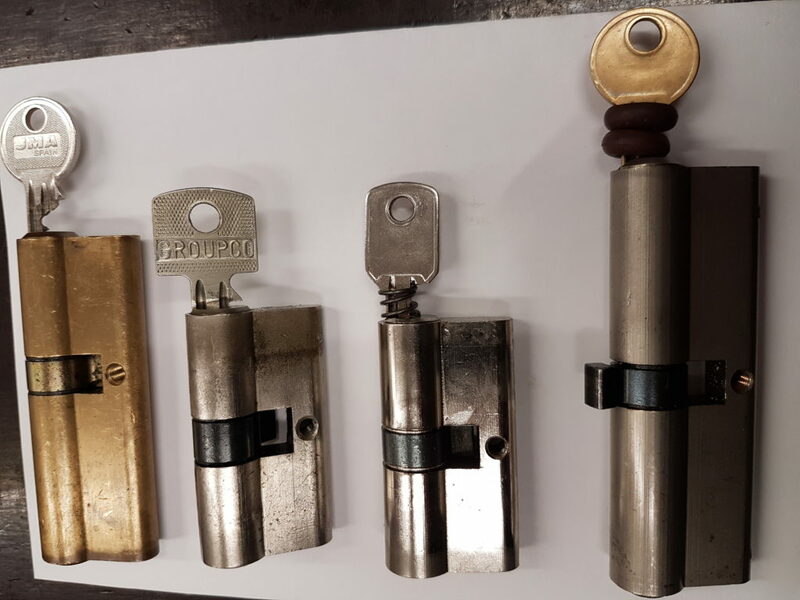 In today’s market we are seeing so many more higher end cylinders being fitted with anti-drill and anti –snap security features such as sacrificial break points and hardened steel strengthening bars and not forgetting the optional PAS24 door furniture making our work as locksmiths becoming harder and harder to open. Bumping will bypass many of these extra security devices. Unfortunately it will not open all the cylinders that fall into the numerous security standards such as BSI TS007 1 Star and 3 Star, SS312 Diamond Sold Secure, BS EN1303 or BS3621 standards. If a lock states anti-bump it does not necessarily mean it’s impossible to bump just as much as if a lock says anti–drill it can still be drilled or an anti–pick lock that can still be picked. It just makes them all that little bit harder. The Bumping method will still open a lot of these cylinders quicker than drilling or snapping but it won’t open them all. Bump Keys are probably the cheapest and easiest locksmith tool available today. They can easily be made out of any old unwanted cut keys or blanks which only cost a few pence. Preferably steel blanks should be used rather than brass as they are less susceptible to getting bent or damaged. If you buy any bump keys I do strongly advise that they are always copied onto another key or blank and the original one left well alone. From the original bump key you will always be able to copy more and set them up in several different options. The simplest way is where you just use the bump key with the shoulder on and insert it fully. Then pull the key out one or two notches and then strike it towards the lock. This methods requires a little more practice as the timing is more critical and it will have to be pulled back out after each strike. Unfortunately this method will also leave noticeable marks on the face of the cylinder. An alternative method is where you need to file just a few millimetres off both the tip and the shoulder of the key. When the key is fully inserted the spring pressure from the pins in the lock will push your key out by a few mm. This method will reset the key each time you strike it but again it will leave noticeable marks on the face of the cylinder. The best method I have found is removing the shoulder completely and using them with a dampener. Dampeners can be easily made out of any old compression springs, rubber or plastic washers or even “O” rings. This method does not cause any visible damage and there is no need to keep pulling the key out after each strike. There are many bump hammers available to buy, but a decent weighted screwdriver works just as well by using the handle end and holding the blade of the screwdriver. Remember to grind off any sharp edges of the screwdriver to avoid any injury to the hand and keep it solely for the use as bumping hammer. When striking the key you must use a combination of very light tension with a moderate amount of strike. Remember to vary the strike hit pattern and do not get into the mistake of just hitting it with the same amount of rhythm and tension as you will be there all day with no success. Feel what the lock is doing and adjust your strike and tension accordingly. Sometimes one solid hit will work better than 4 or 5 lighter quicker taps. It’s all about changing the technique in a very short space of time similar to how you would adjust the tension off and on when using a feather wrench. Prior to bumping cylinders I suggest all cylinders are lubricated to allow the key to move in and out freely. If the key is hard to push in or pull out then bumping will not work. Excessive bumping can also cause damage to the lock springs and the pins inside. This method is well worth having a go at and once you get the feel for it you will never want to stop. Any lock that is opened without drilling is surely a bonus. Over the years I have made well over 200 individual bump keys which have all been personally developed and tested by myself and all of which are now available to the trade. It is probably the largest collection of individual bump keys & sets for sale in the UK. Unfortunately if you search for this list on the internet you will not be able to find it. I am a strong believer in keeping these sort of tools out of the general public’s eye but if there is anyone in the trade that would like to receive this full list all I ask is for you to contact me via my email address with proof of trading. I am continually adding to this list whenever a new lock comes out and trying to keep up with whatever locksmiths are coming up against on a daily basis and struggling to open. The development of new bump keys will never stop as newer cylinders are coming out all the time. 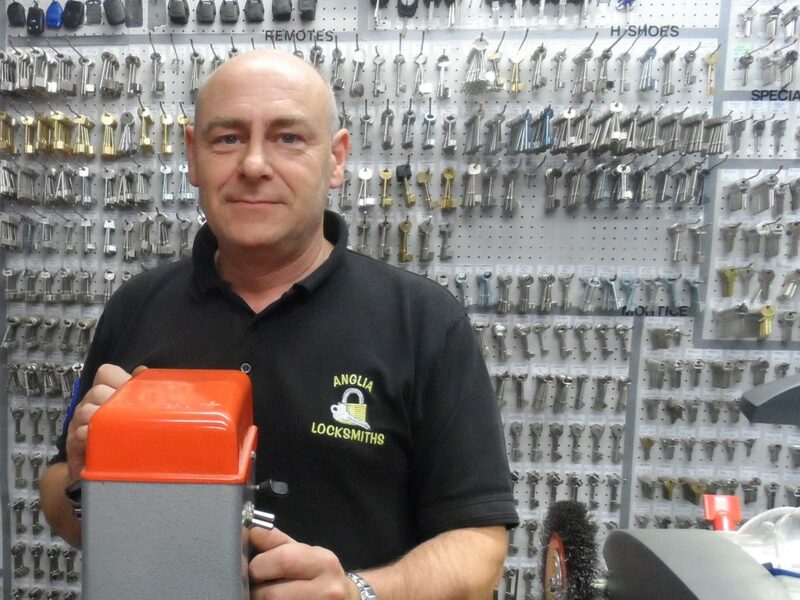 Mark from Anglia Locksmiths has been producing, testing and selling bump keys for more than 15 years now and has a comprehensive list of bump keys available only to the trade. If you want to learn more about bumping, he now offers a full day’s training in Wisbech, Cambs or through the MLA at their HQ. For more info on training or purchasing bump keys please email him on info@anglia-locksmiths.co.uk. Mark is also running a two hour introductory workshop at Lockexpo on the 2nd March. Spaces are limited – pre-book here.